Communication between all parties is continuous; from new customers to third-party vendors via store expansion, integrations, acquisitions or upgrades. So how do we align the onboarding and deployment strategies? How do we ensure consistency across all storefronts and all valued customers? During the Sales Discovery process, the Sales and Customer Success teams work together to ensure that technology solutions can meet all customer needs. POS vendors should view this process as an investment, as this information is integral in creating an optimal customer experience. During the Core Onboarding Phase, Customer Success engages directly with the client to continue discovery efforts to refine the solution and the project plan. The exact work in this phase is dependent upon the needs of the client, but typically includes Menu Build, Database Import, Operational Consultation, and POS system training. The Pilot Phase is the opportunity for the POS vendor and client teams to assess the solution in a live environment. The specifics of the Pilot phase are determined by the entrance criteria for this phase, store count, and services provided during this phase. Some clients may choose to have a single Pilot location prior to full deployment, while others may choose to have several stores. The goal of this phase is to achieve an approved solution in a live environment and establish any additional success criteria. The Deployment Phase is where the POS vendor and customer teams are monitoring and controlling the deployment of the POS solution across the client’s site base according to the project plan. The Implementation Services team provides services which include deployment schedule management, store-level onboarding and discovery to ensure each store has a positive experience receiving their new POS technology, low voltage cabling and permit research, and of course, installation of the point of sale system. During this phase, the Customer Support team delivers the services selected by the client, including but not limited to, Help Desk services, and Break/Fix hardware services such as Field Service and Advance Exchange. This phase represents both corporate and store level support options. Depending on the client resources and engagement level, as well as the complexity of the solution, the POS vendor can provide corporate-level support to assist in the maintenance of the solution. As you research various POS vendors to work with, one significant area to spend some time investigating are their onboarding and deployment processes, as these can significantly impact your customer journey. 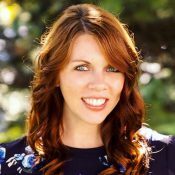 Melanie Bradley is the Product Marketing Specialist for PAR’s POS Restaurant Technology platform. She works extensively with the Product Management Team to create product messaging, conduct competitive research on product positioning and creating launch plans to bring hardware, software and service products to market.